As reported at the Washington Times, the IRS has finally released a list of the Conservative Tea Party groups that were illegally and purposely targeted for so-called “extra scrutiny.” The IRS, that acted like a political hit-man for the Obama administration, released names of 426 organizations. However, there was another 40 organizations that were not released as part of the list because they were not part of the class-action suit. This is a far cry from the number of 298 groups that the IRS identified back in 2013. Imagine that, the IRS lied. So in the run up to the 2012 presidential elections. the IRS willfully and purposely targeted over 400 conservative groups in an effort to affect an election. Mission accomplished. Not only should individuals have been fired, IRS officials should be in prison. More than three years after it admitted to targeting tea party groups for intrusive scrutiny, the IRS has finally released a near-complete list of the organizations it snagged in a political dragnet. The tax agency filed the list last month as part of a court case after a series of federal judges, fed up with what they said was the agency’s stonewalling, ordered it to get a move on. The case is a class-action lawsuit, so the list of names is critical to knowing the scope of those who would have a claim against the IRS. But even as it answers some questions, the list raises others, including exactly when the targeting stopped, and how broadly the tax agency drew its net when it went after nonprofits for unusual scrutiny. The government released names of 426 organizations. Another 40 were not released as part of the list because they had already opted out of being part of the class-action suit. That total is much higher than the 298 groups the IRS‘ inspector general identified back in May 2013, when investigators first revealed the agency had been subjecting applications to long — potentially illegal — delays, and forcing them to answer intrusive questions about their activities. Tea party and conservative groups said they was the target of unusually heavy investigations and longer delays. As the Gateway Pundits opines, “Can you even imagine the outcry if George Bush or any other Republican had done this to liberal groups like Move On or Code Pink?” Maybe if The Donald is elected he should do just that to see what happens. It is hard to believe that the IRS is still stonewalling previous court orders, but they are. As the Vodka Conspiracy opines, the Sixth Circuit court is losing its patience with the IRS. Where is the liberal MSM discussing this scandal that intimately was responsible in one of the greatest voter frauds that has ever been perpetrated in the United States? WTF, a terrible precedent has been set that states the government is above the law and can do anything against We the People … The officials in Washington constantly talk about how our immigration system in America is broken. WRONG, WASHINGTON, DC AND OUR GOVERNMENT IS BROKEN. In news that many may not have heard about as the liberal MSM, with Fox News in tow decided to over report on Hurricane Patricia and how it was supposed to be the hurricanes to end all hurricanes and destroy the world. 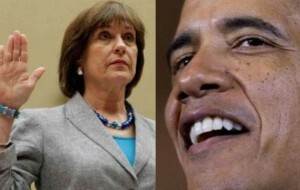 The Barack Obama Justice Department has declined to file charges against IRS enforcer Lois Lerner, who purposely and willfully targeted Conservative and Tea Party groups for political purposes in an attempt to silence them. ARE YOU KIDDING? Lois Lerner should be in leg irons and in federal prison for what she did in an abuse of power and her IRS office. How can this be that an individual can break the law, get caught red-handed, stonewall and cover-up an investigation, but because you did it for the political party that is in power, you are not prosecuted for your crimes? UNREAL. This is an example of a US federal government gone rouge under the decisive and deceitful presidency of Barack Obama. America should have zero confidence any more that the federal government can be held accountable to We the People. Thanks to Barack Obama and his non-transparent presidency and this terrible precedent, we no longer have a government of, by and for the people but a government that is above the law. There may have never been a greater abuse of power and cover up, ever. The Law: The Justice Department declined to file charges against IRS enforcer Lois Lerner, who singled out Tea Party groups for scrutiny on political grounds. With no accountability, it’s now open season on dissidents. Is there anyone out there subject to an Internal Revenue Service audit or a multiyear delay in approval for tax-exempt status who won’t be concerned that the process is politically rigged against them? That’s the message the Justice Department sent when, in a classic Friday night news dump, it decided to not file charges against IRS tax-exempt groups chief Lois Lerner. In a letter to the House Judiciary Committee, Justice said that while it found “mismanagement, poor judgment and inertia,” there was no case for a criminal prosecution. This is absurd. 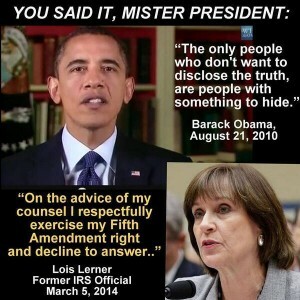 Lerner was caught red-handed targeting Tea Party and other conservative groups, wrote partisan emails to prove it, then engaged in a massive cover-up effort — with a suspiciously crashed server, an oddly missing BlackBerry and plenty of excuses. She evaded even more accountability by shielding herself with the Fifth Amendment in Congress. The consequences to her have been . .. retirement on a full pension with all her bonuses to a multimillion-dollar mansion in the deep D.C. suburbs. As for her victims — and they were many — there is no justice. Now everyone, no matter what their political leanings, will wonder if they too are a political target by an out-of-control agency protected by the Justice Department. Because that’s the real consequence of this failure to hold Lerner accountable: A precedent has been set. IRS officials now know they can go after any political opponent they want, ruin them any way they wish, swing an election — as occurred with Lerner’s actions — and get away with it. To liberals who think this is a laughing matter and are giggling in some childish manner that they got away with something. I have two words, YOU’RE NEXT. 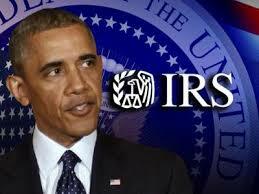 No one should have any issues if there is a Republican president in office and they use the IRS to attack the LEFT. In fact, I insist that they do. Let’s see you guys twist in the wind and see what it feels like. And I do not want to hear the MSM condemn any future GOP administration for using the IRS has a goon squad to attack liberals. You certainly can’t call foul, you had your chance and failed to do so. Sorry, but the IRS needs to be disbanded and a new way of taxation needs to be devised. Never again should any US citizen ever be the target of such viscous tyranny. Juridical Watch is saying that the IRS used donor lists to target unwarranted audits of those opposed to Barack Obama and his policies. Imagine that. The Founding Fathers never intended for any such government agency to ever have this kind f power and fear over its citizens. We fought a Revolutionary War to rid ourselves from tyranny. “These documents that we had to force out of the IRS prove that the agency used donor lists to audit supporters of organizations engaged in First Amendment-protected lawful political speech,” Judicial Watch President Tom Fittonsaid . Government watchdog group Judicial Watch has obtained documents that show the Internal Revenue Service used donor lists from conservative tax-exempt organizations to determine who it would target for audits. 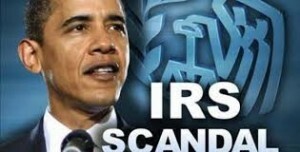 The IRS produced the documents in a Freedom of Information Act lawsuit filed by the group. “These documents that we had to force out of the IRS prove that the agency used donor lists to audit supporters of organizations engaged in First Amendment-protected lawful political speech,” Judicial Watch President Tom Fitton said. New Documents Show IRS Used Donor Lists to Target Audits. 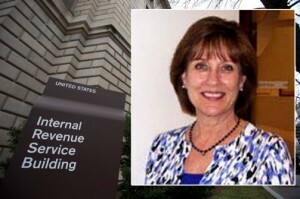 Any for any of you who think the Obama White House and most likely Obama himself was not directly behind this IRS scandal of targeting Obama’s conservative enemies, I bet you believe you can keep your doctor, hospital and healthcare plan under Obamacare too.